Take your team to the next level and play like the pros (or at least look like them) in these high quality hockey jerseys. Choose between a traditional thick sewn construction or the unlimited colour and design possibilities of a sublimated jersey. Can't agree on a set of colours? 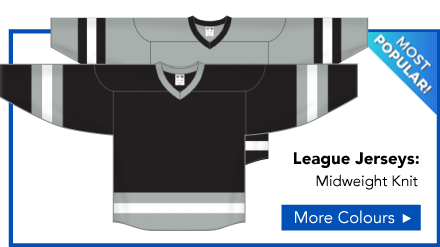 Does your team want the most unique jerseys in the league? Contact Us for information on custom designed cut and sew jerseys. We make it easy to add logos, names and numbers. Check out our selections below. When a hockey team gets on the ice, they look better and play better in matching hockey jerseys. Add custom player names and numbers for each player to boost team morale and look extra sharp. Our custom hockey jerseys don't just look good - they feel comfortable to play in, resist odour and allow airflow. Depending on the jersey style, we embroider, screen print or heat transfer your designs and player information onto the uniforms. At Artik, we bring our passion for Toronto hockey into our print shop. That's why we enjoy printing for all hockey teams! Whether you're a pro team, corporate team or youth team, we have the uniforms for you. We work right in the heart of downtown Toronto, printing, embroidering and customizing your hockey uniforms has been our specialty for over 30 years! Pro Jerseys are knitted with NHL professional colours. 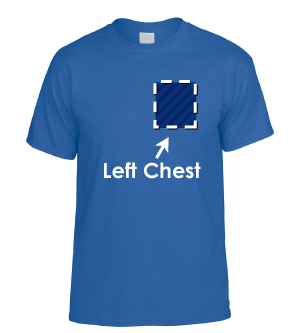 League Jerseys are made from a hybrid of fine knitted fabric and breathable mesh. Sublimated Jerseys are 100% customizable with your designs and colours. Practice Jerseys have a simple one colour design in knitted or mesh material. Select Jerseys are our affordable jersey option. Available in a large selection of colours. Team Socks complete the look of your jersey with custom knit socks! Names and Numbers - We make it simple to add names and numbers to each custom hockey jersey. Contact our staff and we'll make the process quick and easy! Welcome to Artik! 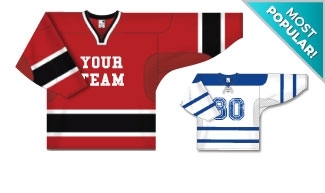 We're Toronto's trusted hockey jersey printer, with over 30 years experience printing custom hockey jerseys for thousands of hockey teams at every competitive level. How have we earned the trust of so many hockey teams? We deliver an awesome product, we're helpful and we bend over work hard to satisfy every customer. That's why so many hockey teams come back year after year for their personalized hockey uniforms. If you need your team name, number and player names on custom hockey jerseys, you're at the right place! 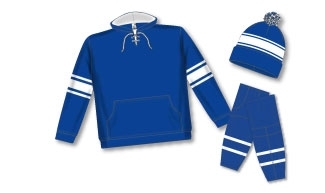 We carry custom printed Athletic Knit hockey jerseys in countless styles. Our jerseys are player approved, fan favourites - they look great, they're comfortable and they last. 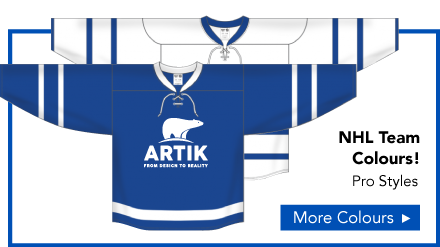 When you need hockey uniforms for your team, come to Artik. 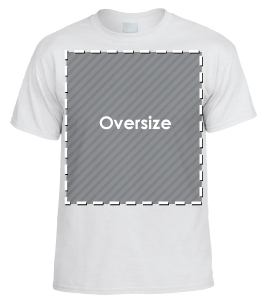 Ready to get creative with your custom hockey jerseys? With custom sublimated hockey jerseys, you can fully design your uniform, with countless colours and patterns...even photos! 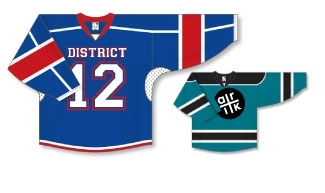 Custom sublimated hockey jerseys will make your team stand out, contact Artik to order your sublimated hockey jerseys. Ready to customize hockey jerseys? At Artik, you can add your player names and numbers to every jersey. 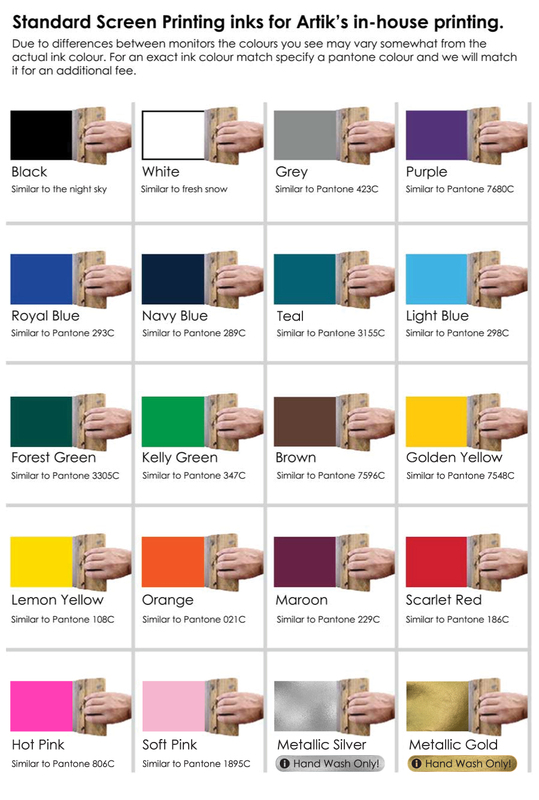 Choose from hundreds of styles and colours and when you're ready to order, talk to our friendly sales staff. 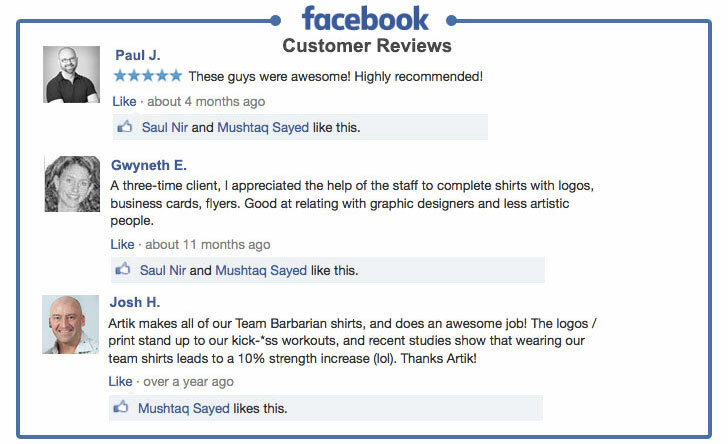 We'll make sure your whole team looks great in customized hockey jerseys. 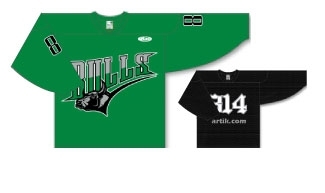 At Artik, we know that hockey jersey printing is an art. From your sweet logo, to your player's names and numbers, we'll make sure your custom hockey jerseys are a work of art! Whether you’re in a casual beer league, are coaching a youth team or you’re ordering uniforms for a AAA hockey team, you should aim to design a memorable uniform. Of course, hockey teams look awesome coming out on the ice in matching printed hockey uniforms, but we’re talking about taking it to the next level. This article is your guide to designing memorable custom hockey uniforms. If you’re in a casual hockey league with friends, go for a jersey you’ll want to hold onto. Custom hockey uniforms can include funny nicknames for each player, your ridiculous logo and team name and a ton of other inside jokes and lewd wordplay. 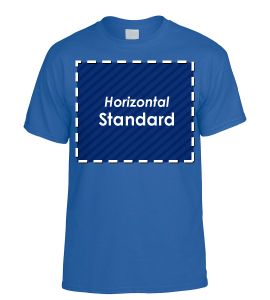 A funny hockey uniform will be memorable and make a great keepsake after the season is done. A super well-designed hockey uniform can make a real impression. Look through the countless custom hockey uniform styles to find the perfect jersey to match your logo. We’re fans of the iconic Toronto Maple Leafs printed hockey uniform, blending a tasteful logo with a matching uniform colour and style. Aim for an iconic hockey uniform and your team will look like pros on the ice. Some of the best custom hockey designs are throwbacks, with vintage designs. Go for a 1970s or 1980s jersey design with muted colours, stripes and off-whites. Your team will have a vintage look that makes your opponents look like casuals! It’s not every day you get to design hockey uniforms, why not go all out? 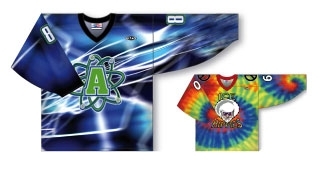 With sublimated uniforms, you can design a completely wacky and weird style of your own. Throw everything at it! 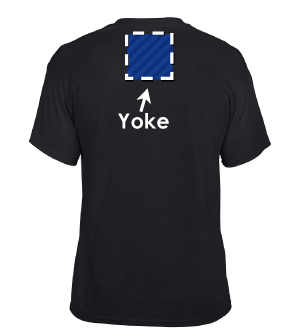 Memes, 3d shapes, tacky word art and embarrassing photos of your teammates. With sublimation, the whole hockey uniform is completely customizable using every colour of the rainbow. Your only limit is your imagination. 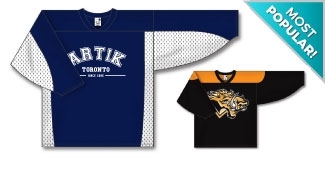 When you’re ready to order custom printed hockey jerseys, come to the experts at Artik. Our team has decades of experience creating awesome custom hockey jerseys for thousands of teams. 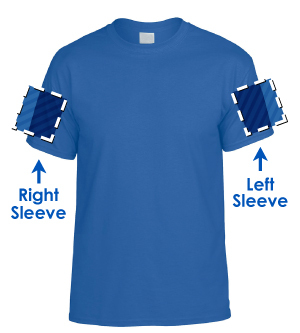 We’ll add your logo, team name and player names/numbers to each printed hockey jersey. Talk to our friendly staff to order your custom hockey uniforms today!